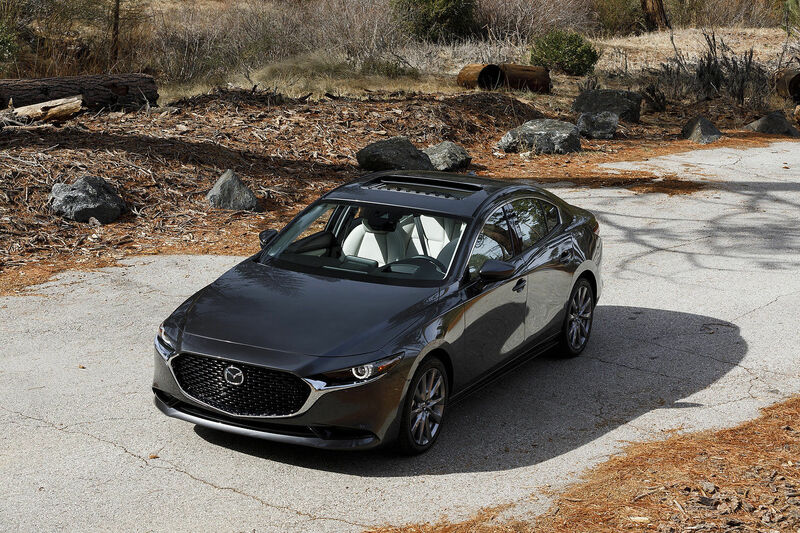 The 2019 Mazda3 is one of the most anticipated new vehicles of the year. Mazda’s new compact sedan starts at $18,000 and is available in a host of different versions in order to meet the needs of a varied group of buyers. Available in two body trims – sedan and the Sport hatchback – and three versions, the Mazda3 has a wide range of available and standard features. Let’s take a look at the different Mazda3 versions available to you today at Kentville Mazda. The new Mazda3 gets Apple CarPlay and Android Auto standard as well as 7-inch LCD screen, 8.8-inch Mazda Connect screen and LED headlights. If you want even more features, you can opt for Convenience package for $2,300 which adds 16-inch wheels, blind spot monitoring and rear cross traffic alert, heated front seats, cruise control, and body-colored power exterior mirrors. The 2019 Mazda3 GX gets a six-speed manual out of the gate connected to a 2.0-liter SKYACTIV-G four-cylinder engine with 155 horsepower and 150 pound-feet of torque. An automatic gearbox is also available. The new Mazda3 GS gets all of the features of the GX model and the Convenience package for $21,300. With the GX, you get a heated steering wheel, dual-zone climate controls, rain-sensing wipers, automatic headlights and the suite of active safety features found in the i-ACTIVESENSE package. The latter includes Mazda Radar Cruise Control with Stop & Go function, Advanced Smart City Brake Support with Pedestrian Detection, high-speed Smart Brake Support, Lane-keep Assist System, Lane Departure Warning System, High Beam Control System, Forward Obstruction Warning, and Distance Recognition Support System. 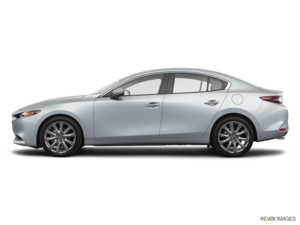 The 2019 Mazda3 GS can be equipped with a more powerful 2.5-liter four-cylinder engine with 186 horsepower and 186 pound-feet of torque. The GS can also get Mazda’s proven i-ACTIV all-wheel drive system for just $26,000. Opting for the 2019 Mazda3 GT gets you the more powerful 2.5-liter four-cylinder engine standard as well as 18-inch wheels, automatic levelling headlights, adaptive front headlights and a BOSE 12-speaker audio system. 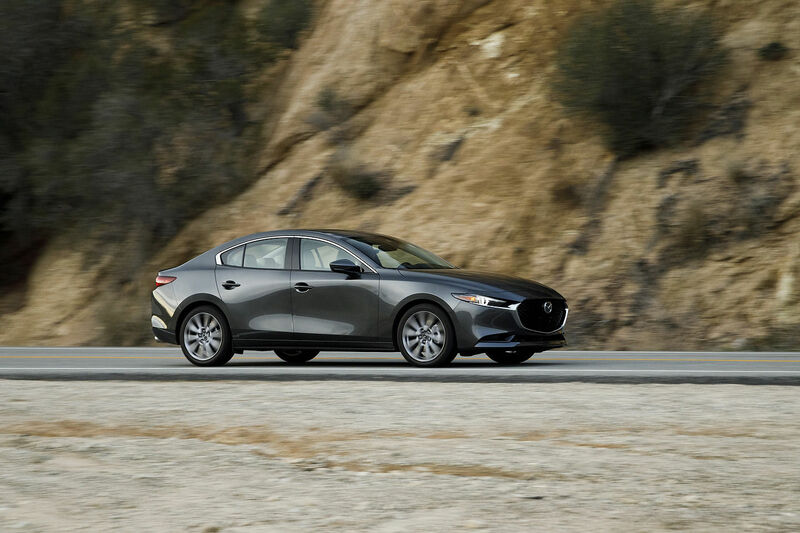 The Premium package offered on the new 2019 Mazda3 GT adds 10-way power adjustable driver’s seat, satellite radio, leather seats, and smart brake support rear and rear crossing, among other features. 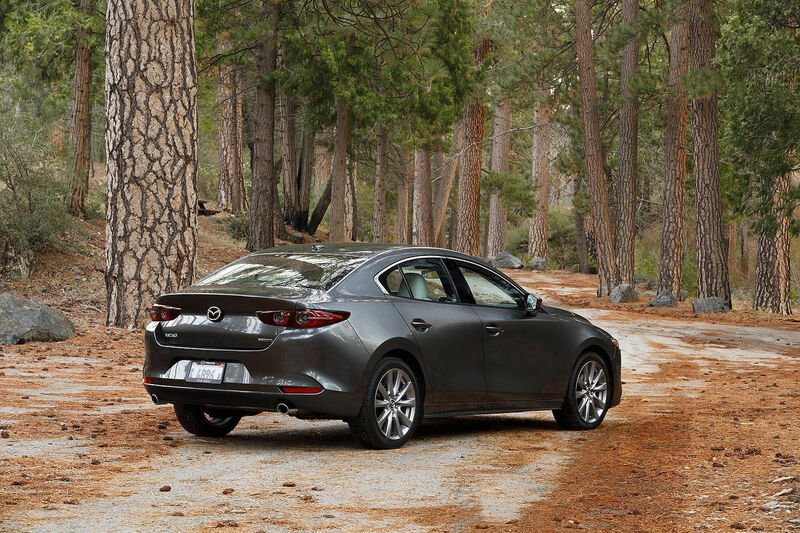 The 2019 Mazda3 Sport adds the extra versatility of a hatchback along with slightly different trims. The Mazda3 Sport starts at $21,300 while all-wheel drive is available starting at $27,000. You can also get the more powerful 2.5-liter engine with 186 horsepower available with a six-speed manual gearbox. Contact us today to learn more about the 2019 Mazda3 at Kentville Mazda.